Some nights after working entirely too many hours, fun coffee dates after work with friends or my multi-weekly trips to Trader Joes (I seriously can't stay away..chili mangos! chocolate covered cheerios! wine for $3.99! ), I can't muster enough energy to make a big elaborate dinner. 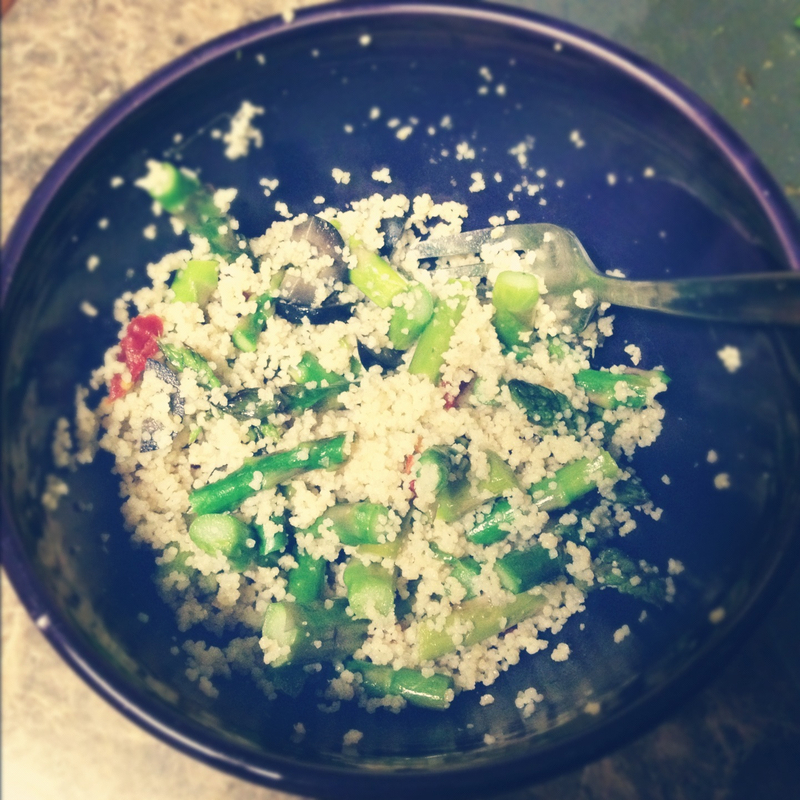 On those nights I'm thankful for a fridge full of veggies, a nonstick pan, and couscous. My fridge happened to have asparagus and mushrooms. So in the pan they went! Well actually, some in the pan and some in the oven. So easy. Dinner in 20 for the win. - Preheat the oven to 350. 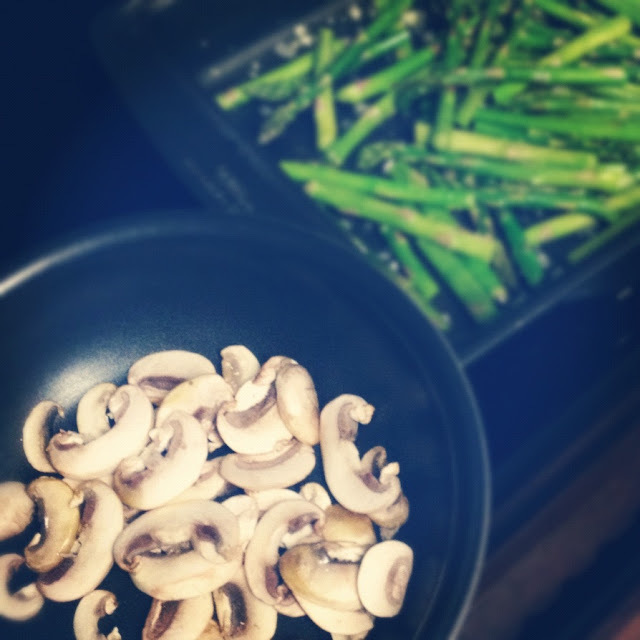 - Wash the asparagus and mushrooms, removing the ends/stumps. - Slice the mushrooms and add to a skillet with a drizzle of olive oil. - Mince the garlic cloves, tossing it with the asparagus and a drizzle of olive oil. - Pour the asparagus in a pan, sprinkle with salt & pepper, toss in the oven for about 15 minutes or until tender. - Boil or microwave 3/4 c. water, then pour over the couscous in a medium size bowl. Quickly place a plate over the top, then let steam (NO PEEKING) for at least 5 minutes. When finished fluff with a fork. - Combine couscous, chopped asparagus, mushrooms, chopped sun dried tomatoes, chopped olives and a tiny bit of balsamic vinegar in a bowl. This looks good. I am going to have to give this recipe a try. I am a new follower and I also think it is great that you do posts about local arizona stuff. I have been in Phoenix for 4 years and I still have not done much exploring. Thank you! I'm glad you found me:) I always try to post all of the fun local arizona things I find, it's been fun exploring & getting to know the city. The quintessential dinner in a hurry - just throw everything in one pot and go! Love it.